For thousands of years women have been taking different herbs for fertility. The Chinese have a long affinity of using herbs to enhance their reproductive health. Generally no individual herb is considered especially important. Collectively, however, many of these herbs have evidence-based fertility benefits. There are over 150 plants that are known to have properties that can help to boost fertility. Many of these are blended into natural teas promoted to treat infertility by rectifying organic or functional problems that are the primary cause of fertility problems. There are many fertility teas on the market. We have identified five of the most popular options. Please note that these teas are formulated for pre-conception. Once pregnant is it very important to consult with your doctor about herbal teas. Some herbal remedies are not recommended during pregnancy or at certain stages of pregnancy. What are the key ingredients of these fertility teas? Chasteberry, also known as monk’s pepper, Vitex, and chaste-tree berry is well known to herbalists and healthcare professionals. Native to Italy and Greece, the berries born from this shrub have been used for centuries to support female health and vitality. Today this plant continues to be one of the most powerful herbs used throughout the world to naturally restore gynecological imbalances. Chasteberry works by assisting to regulate fertility hormones. However, this plant does not contain hormones itself. Instead, Vitex has a non-direct mechanism of supporting healthy fertility. This plant contains compounds that have the ability to regulate and support the pituitary gland. Often referred to as the ‘master gland’, the pituitary gland controls many hormones in the body including those involved in fertility. Vitex can help to balance hormones to improve fertility. This herb can promote an increase in progesterone levels by stimulating the secretion of luteinizing hormone (LH) and the corpus luteum without adverse side effects1. Another benefit of stimulating luteinizing hormone production is the lengthening of the luteal phase to improve and stabilise ovulation2. This can help to prevent irregular menstruation, treat amenorrhea, and support normal menses cycles even after prolonged periods of using oral contraceptives3. Women who suffer from PMS have found relief using Vitex. This herbal remedy has been reported to treat symptoms such as headaches, depression, acne, allergies, breast sensitivity and depression4, 5. Other fertility benefits of Vitrix include a reduction in the development and progression of uterine cysts and mild endometriosis. Many fertility teas contain Chasteberry and it is generally a well tolerated herb. Red raspberries are a popular fruit, but it is the leaves of his plant which have fertility benefits. 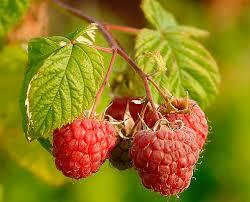 Considered a popular tonic to prepare the body for pregnancy, raspberry leaves are enriched with important nutrients. Vitamins A, B complex, C, and E, together with tannins, citric acid and carotenoids are concentrated in this plant. There are a range of medical actions associated with raspberry leaf. It is an astringent and can helps to support healthy digestion and prevent excessive bleeding. It can also assist to reduce fever and enhance uterine health. The main advantages of raspberry leaf associated with fertility are linked to menstrual bleeding problems and weaknesses associated with the uterus. Due to the high nutrient content, this herb can also help to prepare the body for pregnancy. Women suffering from menstrual cycles characterised by heavy bleeding may find that raspberry leaf herbal teas can help to reduce menorrhagia symptoms. The high iron content of this plant can also safeguard the body from anemia. Often women that have undergone surgery for ovarian cysts, fibroids, endometriosis or some other uterine trauma can experience a weakened uterus. This can increase the risk of miscarriage. The toning effects of red raspberry leaf can help to support uterine recovery and may lessen the risk of miscarriage. *It should be noted that detailed scientific studies into the effects of Rubus on fertility are limited and somewhat contradictive. 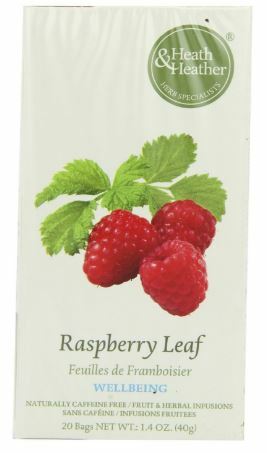 Herbalists highly recommend raspberry leaf tea when trying to conceive and during the third trimester of pregnancy. However, as a precaution it is very important to discuss suitability of this herbal tonic with a health professional prior to regularly consuming red raspberry leaf in fertility teas. Trifolium pretense, better known as red clover, is widely recognised by herbalists as an anti-cancer herb. Red clover is described as a blood purifying herb, acting as metabolic diuretic to remove waste from the kidneys and lymphatic system. Trifolium has also been shown to have a positive role in lowering the risk of heart disease by reducing cholesterol levels. It is native to Europe, Africa and Western Asia, although now grows in many other regions. 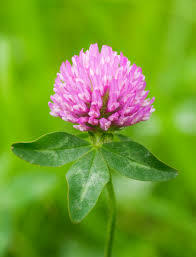 Red clover contains high concentrations of isoflavones. These compounds are converted into phytoestrogens with similar effects as the hormone estrogen. This can help with restoring hormone balance6. This plant also contains a range of vitamins and minerals to help nourish the body. The detoxifying actions of red clover can help to prepare the body for pregnancy. Impaired liver function can compromise hormone balance, making it very important to ensure that the body is free from excess toxins in order to support better fertility. This herb also helps to enhance circulation which has benefits for reproductive function and improving cervical mucus. Women who regularly experience menstrual cramping may benefit from red clover in fertility teas as it is rich in magnesium and calcium which are essential for smooth muscle function. Nettle is a common plant throughout Asia, Europe, North America and northern Africa. This plant has long history of use in traditional medicines. It is widely used around the world with no adverse side effects. Nettle is packed full of nutrients including calcium, magnesium, iron, vitamin C, vitamin B, vitamin K, flavonoids, sterols and other compounds. Regularly consuming nettles can help to bolster nutrition. This plant also has diuretic compounds, making it beneficial for flushing the body from toxins. 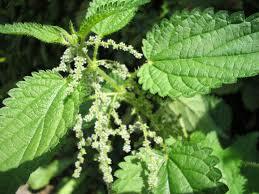 Nettles have the added benefit of possessing active antioxidant, antimicrobial, antiulcer, and analgesic properties7. There is little research to suggest that nettles have a direct benefit on fertility. However, indirectly all nutrients and detoxifying protective properties of this plant can assist to prepare the body for pregnancy by supporting overall health. This is why nettles are often included in fertility teas. Peppermint tea has long been enjoyed as a refreshing, aromatic beverage consumed by many people. 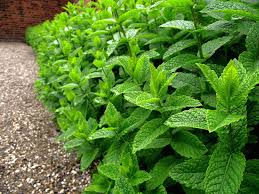 Mint is a very easy herb to grow and there are many different varieties available. Caffeine-free, peppermint tea is often chosen as a black tea or coffee substitute. Peppermint contains menthol. This organic compound has local anesthetic qualities and can help to reduce irritation. There is some evidence to suggest that peppermint oil can help to relieve irritable bowel and gastrointestinal problems8, 9. This is due to its soothing and relaxing effects on the intestinal tract muscles. Peppermint tea helps the body to relax. This is very important considering that stress can play a major role in fertility problems. Also, peppermint tea has many beneficial fertility vitamins such as vitamin A, B12, C and folate. Post conception peppermint tea can also be helpful during pregnancy, especially during the first trimester. The soothing effects of peppermint on the stomach can help to reduce nausea and other morning sickness symptoms. 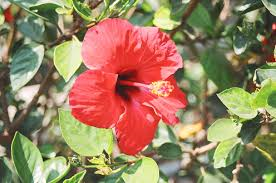 Hibiscus covers a large genus of plants belonging to the mallow family. These plants are commonly found in warmer climates and are widely admired for their beautiful showy flowers. However, Hibiscus also has medicinal properties. Hibiscus has a high concentration of vitamin C and this can offer many health benefits, especially for fertility. Many women do not absorb enough iron. This can lead to anovulation, poor egg health and a much lower chance of falling pregnant. For women struggling with low iron levels and trying to conceive, hibiscus fertility teas may be beneficial. 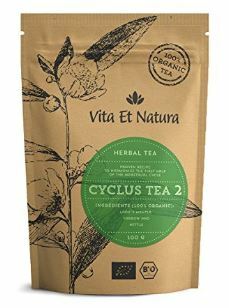 For the body to effectively absorb iron it must have sufficient vitamin C. Consequently many hibiscus teas contain other herbs rich in iron to help support better fertility and overall health. Dried hibiscus flowers also contain properties that can help to lower blood pressure. Honeybush is one of around 20 species of legumes belonging to the Cyclopia genus. It is native to southeast and southwest region of South Africa. The common name of honeybush applies due to its honey-scented flowers. The leaves of this plant have been widely used in herbal teas and it has several similarities to the popular rooibos tea. Honeybush tea is a rich source of antioxidants. It is particularly high in phenolic compounds. These compounds protect the body from oxidative stress. They also assist to boost immune function and reduce inflammation. Honeybush tea is recommended while trying to conceive because it can help to ease stress on the body. By increasing antioxidant availability it is thought that the body will be able to better neutralize free radicals. This is important for supporting a healthy reproductive system. Consequently, honeybush is a common ingredient in fertility teas. 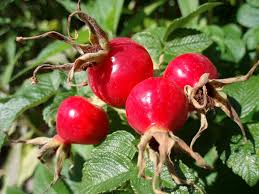 Fruit of the rose, rose-hips have been used widely for thousands of years. These fruits are transformed into jams, teas, jelly, soup, syrups, wine, marmalade and a whole range of other different products. One of the richest sources of plant-derived vitamin C comes from rosehips. However, concentrations vary from different species. The pectin and fruit acids in rose hips act as a mild diuretic and laxative. This can help to treat mild cases of constipation and relieve the symptoms of kidney disorders. The main health benefit of rose hips comes from its antioxidant properties. This helps to boost the immune system and support overall wellbeing. Similar to honeybush, nettle and other herbs previously mentioned, rosehip can help to prepare the body for pregnancy by improving immune function and neutralizing free radicals. For these reasons, rosehip is often included in fertility teas. Yarrow is a common plant belonging to the daisy family (Asteracea). It is native to Asia, Europe and North America where it grows widely in these temperate regions. Yarrow has also been introduced into countries such as Australia and New Zealand as stock feed and is subsequently considered a weed species. Yarrow is a very versatile plant when it comes to medicinal treatments. It is used for a wide range of different aliments and virtually all parts of the plant have some health benefit. 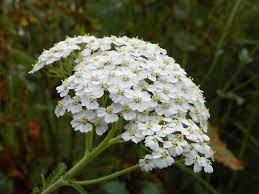 Historians state that yarrow was first used by the Greeks over 3,000 years ago to treat wound sites. Other uses for this herb include treating gastrointestinal, liver and spleen and kidney problems, as well as fever, tooth aches, poor circulation. Yarrow contains compounds such as isovaleric acid, asparagin, sterols, flavonoids, linalool, camphor, bitters, coumarins, polyacetylenes, triterpenes, salicylic acid and tannin. These compounds exhibit anti-neoplastic, anti-inflammatory, anti-oxidant and anti-biotic activity. This can help to enhance overall health. Yarrow has been widely used to treat a range of fertility issues. One popular application for yarrow is in pain relief for dysmennorhea. This is a condition that causing painful menstrual cramps. It works due to anti-inflammatory and anti-spasmodic actions that relax the uterine muscles and prevent cramping and spasms. This herb reduces pain by relieving inflammation and enhancing circulation to the reproductive organs. Yarrow is also used to reduce heavy menstrual bleeding often associated with conditions such as uterine fibroids, endometriosis, and ovarian cysts. For women suffering from amennohrea, this herb may help to stimulate a more regular menstrual cycle. All these actions can help to improve reproductive health and subsequent fertility, making this herb a popular inclusion in fertility teas. Lady’s mantle is one of around 300 herbaceous perennial plants belonging to the Alchemilla genus. These plants are native to cool temperate regions of Asia and Europe. Its common name is given due to its long reputation as a woman’s healing herb. Lady’s mantle is enriched with vitamin C, tannins, salicylic acid, essential oils, phytosterols and a wide range of minerals. Also present are flavonoids elligitannins and quercetin. Many of the active compounds in this plant have a range of health benefits, especially for female reproduction. Lady’s mantle is one of the most revered and widely used herbs by women to support healthy fertility and improve conception chances. This plant is thought to help reduce symptoms of endometriosis and menstrual disorders. 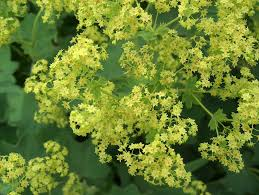 An astringent and anti-inflammatory, Lady’s mantle can also assist to reduce hormonal imbalances. This herb is often recommended by natural therapists for women struggling with menopause symptoms. It is this positive effect on hormone regulation that can help to improve fertility in women struggling to conceive. The tannins in this herb are also thought to help tighten mucilage and provide an effective barrier against infections, which can assist to improve fertility. A loved spice all around the world, cinnamon is derived from the inner bark of several tree species belonging to the genus Cinnamomum. While having a very distinctive aroma and taste, cinnamon has more than just culinary uses. This spice has bioactive properties that may have health benefits. Cinnamon has been found to help regulate blood sugar levels in people with type 2 diabetes10 and may have potential to reduce the risk of heart disease. Furthermore, cinnamon may improve fertility in women. Cinnamon contains vital oils and other compounds, such as cinnamic acid, cinnamaldehyde, and cinnamate. These properties are known to have anti-inflammatory, antioxidant, antidiabetic, anticancer, lipid-lowering, antimicrobial, and cardiovascular-disease-lowering actions11. 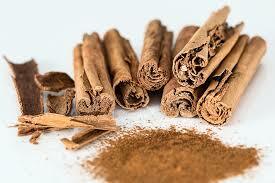 For many years women have used cinnamon as a natural treatment to curb heavy menstrual bleeding. This is a common symptom for women with uterine fibroids, endometriosis, menorrhagia, or adenomyosis. Traditional Chinese medicines use cinnamon to bring “warmth” to a “cold uterus”. The term “cold uterus” is sometimes used to describe a female reproductive system that has poor circulation and lacks menstrual regularity. Cinnamon can help to improve circulation and overall function. Other benefit of cinnamon is that it can help to reduce the risk of yeast infections (Candida overgrowth) due to compounds which can neutralise fungal growth. Thrush is often a sign of impaired fertility and it is important to ensure that Candida is properly controlled to improve conception chances. Insulin resistance is often a symptom of PCOS (polycystic ovary syndrome)12. Not only can this increase the risk of developing diabetes, it also negatively affects fertility. An insulin imbalance interferes with ovulation and egg maturation. Woman with PCOS may benefit from cinnamon due to its positive effect on insulin production. More fertility teas on the market are now including cinnamon. Associating licorice with fertility is not an obvious link for most people. However, this plant has an array of health benefit, some of which may improve conception chances. The licorice plant is native to parts of Asia and southern Europe. Extracts from this plant have been used as sweetners and in herbal medical treatment for centuries. Licorice has a wide range of properties that can help to remedy digestive disorders, inflammatory conditions, and immune system problems. This root contains a wide range of flavoniods and phytoestrogens. One of the key compounds of licorice is glycrrhizinic acid and it is responsible for many of the health benefits associated with this root. Licorice has several mechanisms which can help to improve fertility. This herb supports liver health due to the purifying action of glycyrrhizic acid. A healthy liver is very important for reproductive health. The liver cleanses the body and plays a key role in maintaining hormonal balance. Another function of glycyrrhizic acid is to lower inflammation. This can have a positive effect in reducing pain and discomfort caused by reproductive disorders such as endometriosis, uterine fibroids, ovarian cysts, dysmenorrhea, adenomuosis, and pelvic inflammatory disease (PID). Properties of licorice are classified as an adaptogen and immunomodulator, thus supporting natural endocrine and immune function. These qualities are important for people with immunological fertility problems such as antisperm antibodies, endometriosis, premature ovarian failure, thrombophilia and recurrent miscarriage. Licorice contains isoflavones. These are phytoestrogens that have similar actions to estrogen. These compounds can help to minimise endocrine disruptors known as xenohormones. This is another way in which licorice can assist to correct hormonal imbalances. Similar to cinnamon, licorice can also support healthy blood sugar levels, which may assist women with insulin resistant PCOS. Another fertility benefit of licorice is that it improves cervical mucus production due to its emollient and demulcent properties. It’s essential that a healthy consistency and volume of cervical mucus is present to help transport the sperm to the egg for fertilisation. There are many herbs and botanical extracts that have been used over thousands of years in traditional medical treatments. Fertility teas and other herbal blends are still used today to help support a healthy reproductive system and improve conception chances. However, we now have the added benefit of a more in-depth scientific understanding of the nutritional value of certain herbs. This knowledge can help us to make better choices and naturally support reproductive vigor. 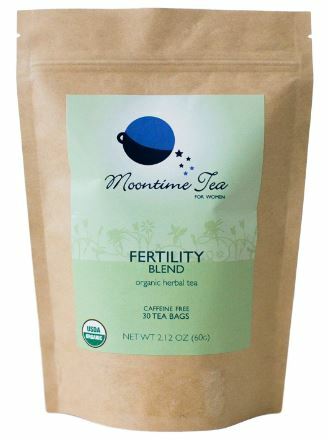 Fertility teas for women are widely available. These herbal teas are generally considered safe as long as they are not consumed excessively. Just like nutritional supplements, it’s important to follow the directions. 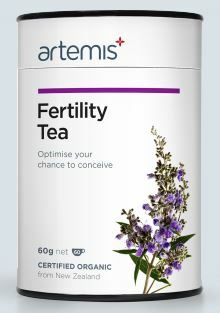 Fertility teas alone will not treat infertility. However, they can assist in reducing fertility impairments and this may help some women to improve reproductive health. It’s important to always consult a medical practitioner before regularly consuming fertility teas to ensure their suitability. There are some herbs which are safe to use often prior to conception but may pose a risk during various stages of pregnancy.